1700sf of pure luxury living. 2 bedrooms, 2 baths, plus an optional third bedroom. Vaulted ceilings throughout, skylights and solar tubes for extra natural light and large ceiling fans in every room for energy efficiency. Forced Heat and Air units. Gorgeous Gourmet kitchen with Corian counter tops, abundant cabinet & counter space; microwave above gas range, dishwasher and garbage disposal in like new condition. 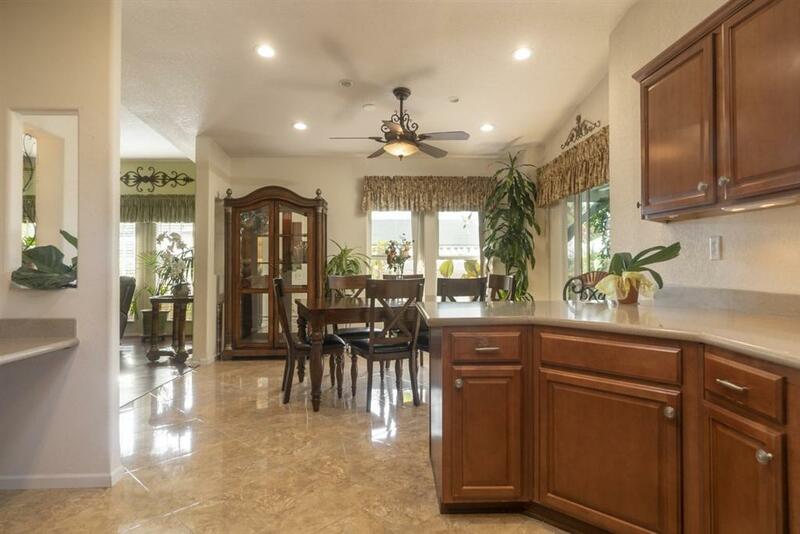 Exquisite 18Ã¢â‚¬Âx18Ã¢â‚¬Â Italian travertine flooring in kitchen, dining and laundry room. Better than new! 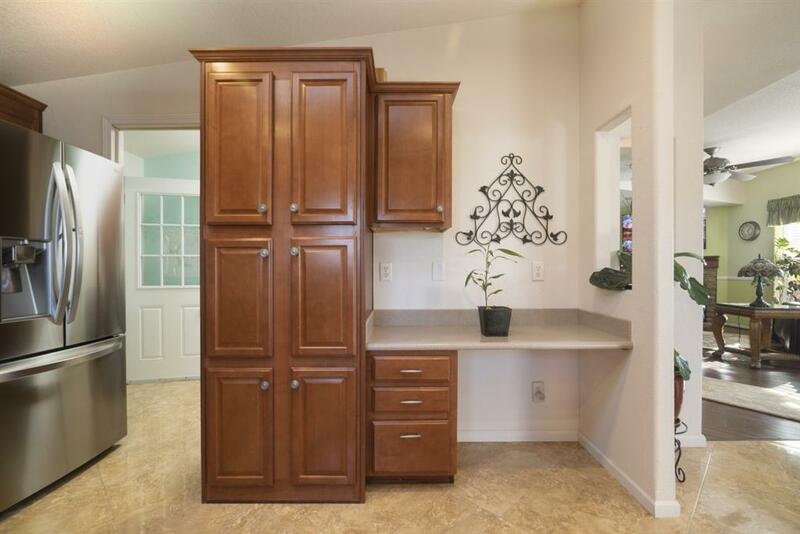 Stunning 2007 Manufactured Home in Ocean Bluffs Senior Community. 1700sf of pure luxury living. 2 bedrooms, 2 baths, plus an optional third bedroom. Vaulted ceilings throughout, skylights and solar tubes for extra natural light and large ceiling fans in every room for energy efficiency. Forced Heat and Air units. 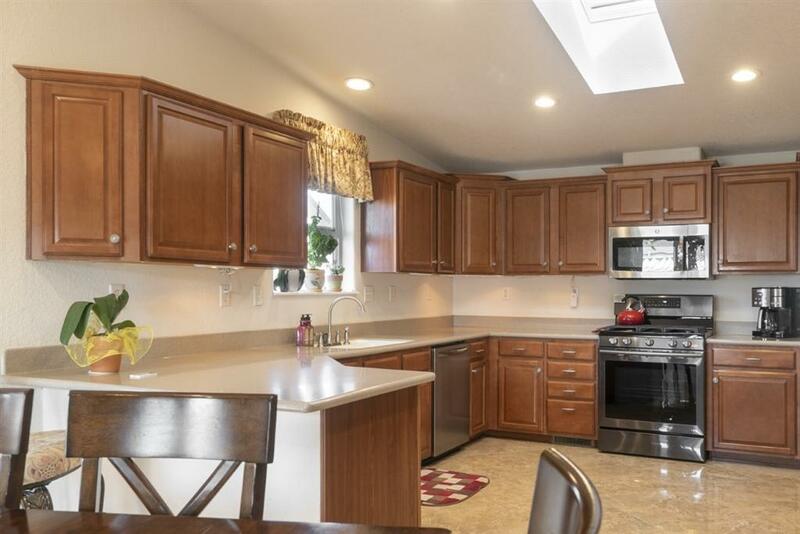 Gorgeous Gourmet kitchen with Corian counter tops, abundant cabinet & counter space; microwave above gas range, dishwasher and garbage disposal in like new condition. Exquisite 18Ã¢â‚¬Âx18Ã¢â‚¬Â Italian travertine flooring in kitchen, dining and laundry room. 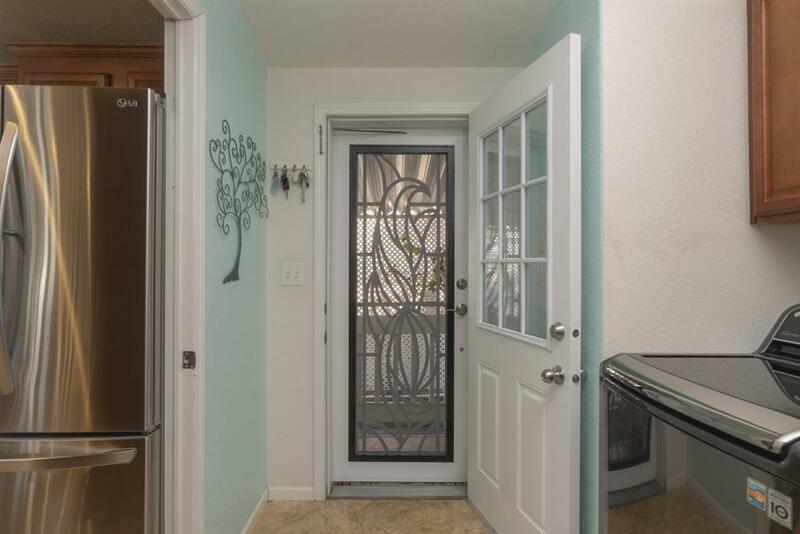 Laundry room has overhead cabinets, a washbasin, a door with glass panes and custom designed security door to match main entry security door. Living room and entry way have quality, dark wood laminate flooring. Living room boast of a fireplace and plenty of light shinning through the French doors and windows. Entry door with leaded glass and a custom security designed door for your privacy and security. Large master suite offers a walk-in closet, views of the ocean, the Coronado Islands and beautiful sunsets; master bathroom has a walk-in shower, large vanity with Corian counter and built-in linen closet. Spacious second bedroom with walk-in closet. Fire resistant exterior siding was painted recently. Custom built 8'x12' matching storage shed has ventilation, windows and electricity. From the entrance, guests are greeted with a beautiful custom private patio retreat. This patio is great for entertaining or just enjoying the afternoon ocean breezes. Custom landscape and horizontal pavers throughout the patio floor; custom bamboo fencing for privacy and decor, perfect getaway to read your favorite book or just enjoy your morning coffee. Patio includes an outdoor fireplace and plenty of room for your favorite plants and outdoor furniture. This is not your typical manufactured home, this home is for the discerning buyer; the one who doesn't want to sacrifice luxury! Ocean Bluffs is an upscale gated senior community near the ocean in South San Diego. Listing provided courtesy of Rock Solid Real Estate Co.. Listing information © 2019 San Diego MLS, Inc.